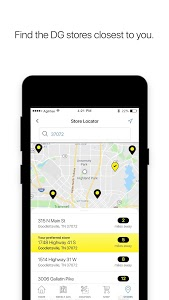 Start saving with the Dollar General app today! 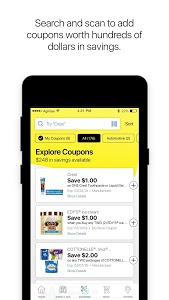 The Dollar General app gives you easy access to the things you love most about Dollar General – our offers and coupons – so you can buy the products you love and stay on budget. 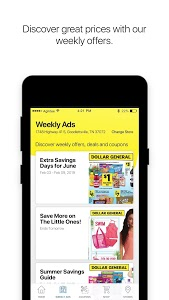 • View our weekly ad, in either a page view or list view format; our list view makes it easier than ever before to browse our current offers! 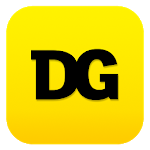 To view and add coupons, you will need to create a Dollar General account. 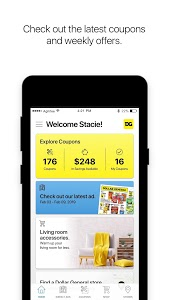 Your Dollar General account can be used for all Dollar General properties including DG GO! and online purchases. 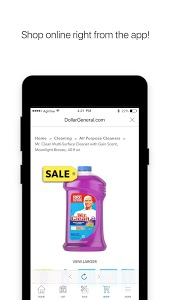 Similar to "Dollar General - Digital Coupons, Ads And More"